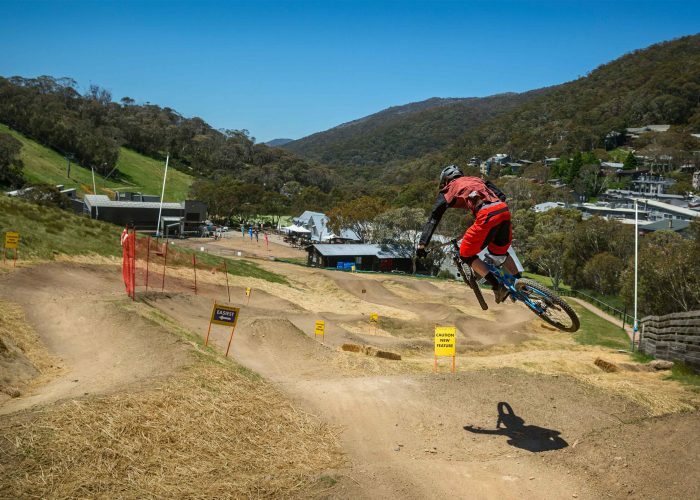 Thredbo MTB offer group clinics for riders of all levels. 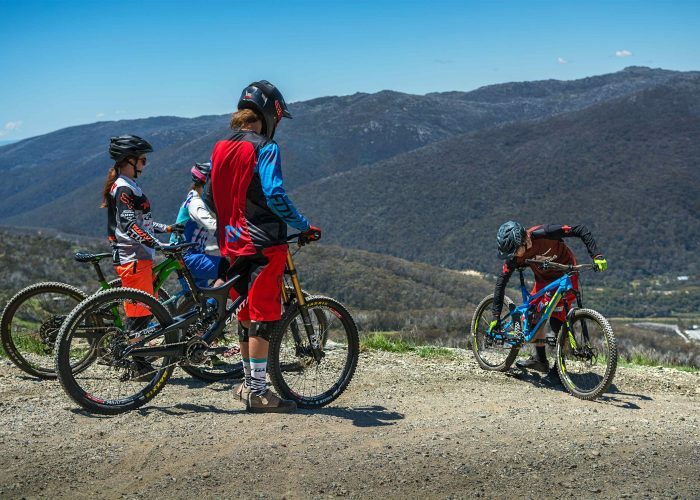 If you are looking to tweak your mountain biking skills, gain confidence riding the mountain or after tips on trying something new then the Thredbo MTB instructors have a clinic for you. Recommended for first time mountain bikers to Thredbo. The beginner clinic utilises the village skills parks and valley floor trails with the aim of concentrating on the fundamentals of mountain biking. The clinic covers the neutral riding position, basic braking techniques, bike control and cornering. This clinic is a great introduction to mountain biking and will not use the chairlift gravity trails. Maximum four people per clinic. Rental and protective equipment not included. The Intermediate clinic is perfect for those looking to improve their gravity riding skills on intermediate trails. The clinic covers the necessary skills to ride gravity trails safely including correct body position, heavy braking, advanced cornering, rollers, small jumps and drops. This clinic uses the Kosciuszko Flow Trail and Thredbo All-Mountain Trail. Maximum four people per clinic. 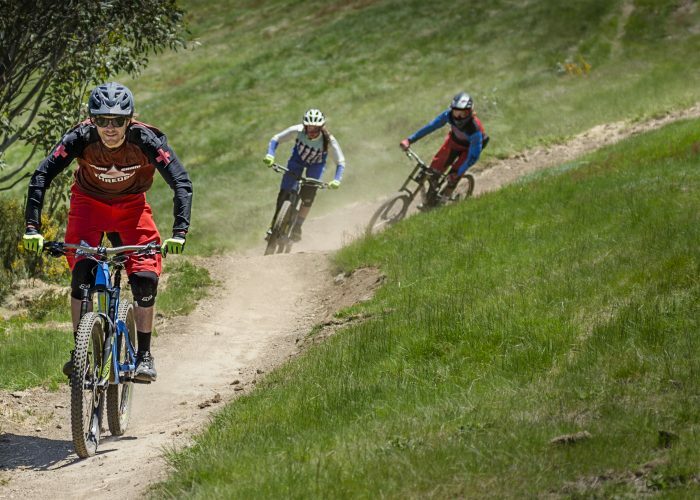 The Advanced clinic takes riders on the Kosciuszko Flow Trail and Cannonball Downhill Trail. It will give riders insight into correct line choices, aggressive riding positions and dynamic cornering. The group will also have the option to utilise the jump and skills parks to brush up on their jumping and drop skills. This is ideal for riders who are looking at getting into more technical terrain like rock gardens, drops and jumps. Riders should be comfortable on the Kosciuszko Flow Trail before undertaking this clinic. Maximum two people per clinic. The perfect MTB session for the groms! 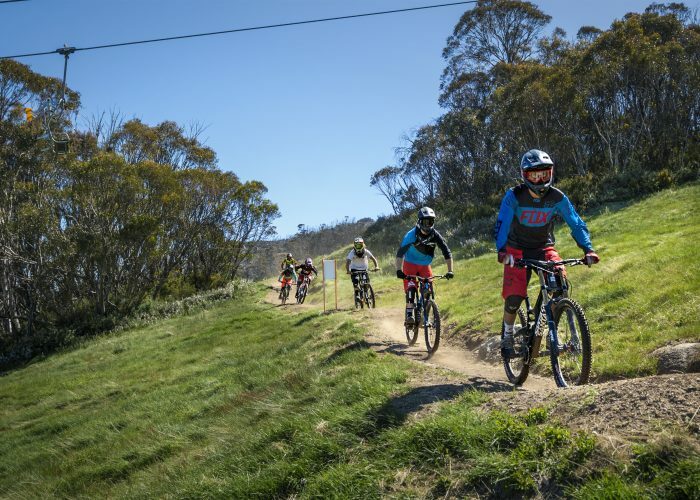 These two hour sessions for kids aged 7 to 14 years will arm participants with the skills required to conquer the gravity trails within the Thredbo bike park. Three groups will be on offer to riders: Beginner, Intermediate and Advanced allowing for a more focused skills based session. Includes: Up to 2 hours of riding time with our fun instructors. If you are looking for a session geared around you and your outcomes, the more intensive 2.5hr private lessons are ideal. 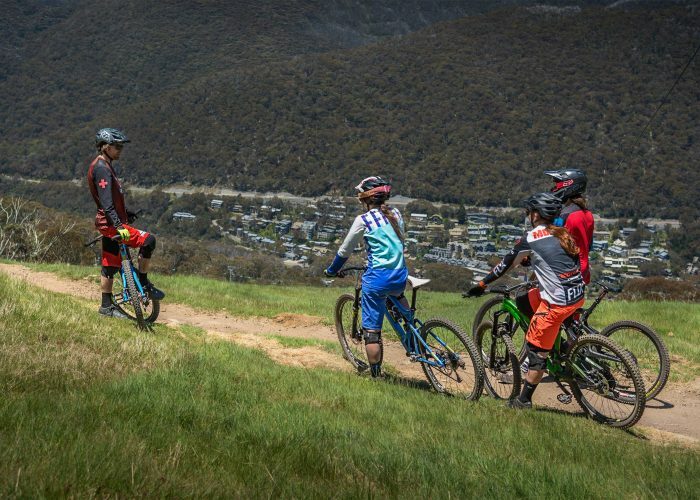 Guided by Thredbo MTB’s experienced instructors, riders focus on developing individual skills and techniques needed to ride Thredbo’s terrain. From cornering, to climbing, to rock drops and chutes, our instructors have all of the tips to improve your riding and make your mountain biking experience as enjoyable as possible. Riders seeking a more personalised teaching experience, at any level, will benefit from a private lesson tailored to the rider’s individual needs. 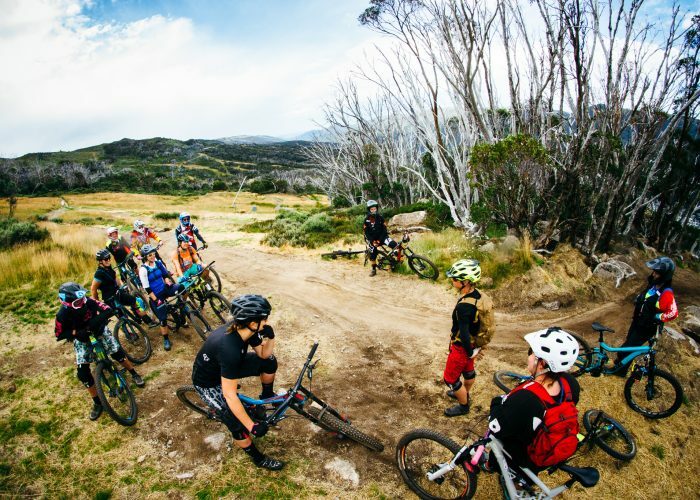 Gravity Girls is a women’s specific mountainbike clinic designed to offer girls a non-intimidating introduction to downhill riding in Thredbo Resort. The clinic will suit riders of all abilities with the aim to progressively improve their skills throughout the day. The day will cover all aspects of riding including body position, cornering, braking, drops and jumps in a group environment. This is a great way to meet other riders and build confidence on the mountain in an encouraging all female environment. 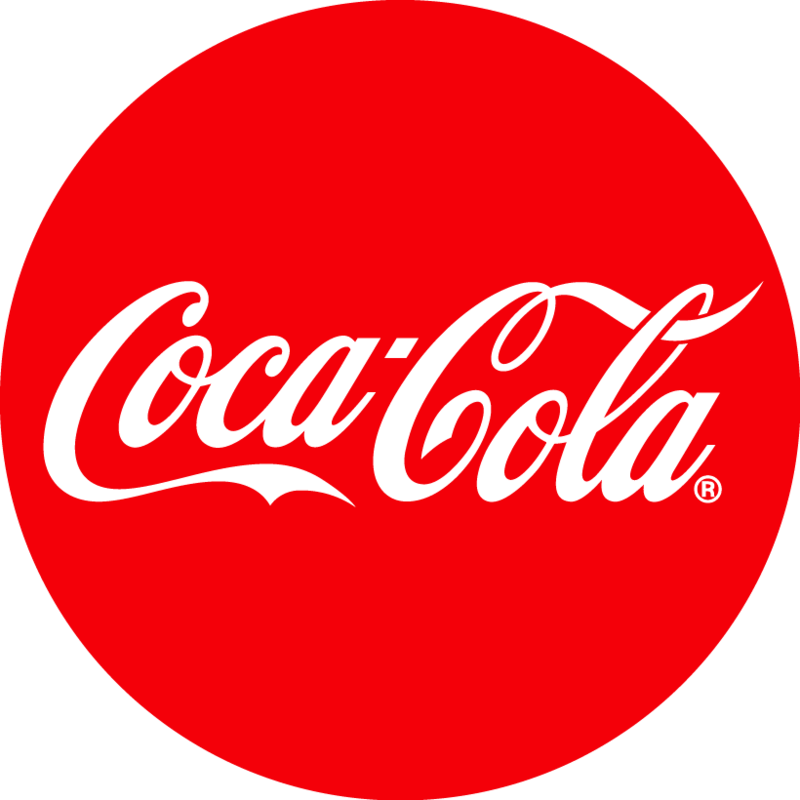 Participants will also receive a discounted lunch + free drink thanks to the Thredbo Alpine Hotel. Masterclass is a men’s specific mountain bike clinic designed to bring the guys together to meet some riding buddies and gain some fresh tips along the way. 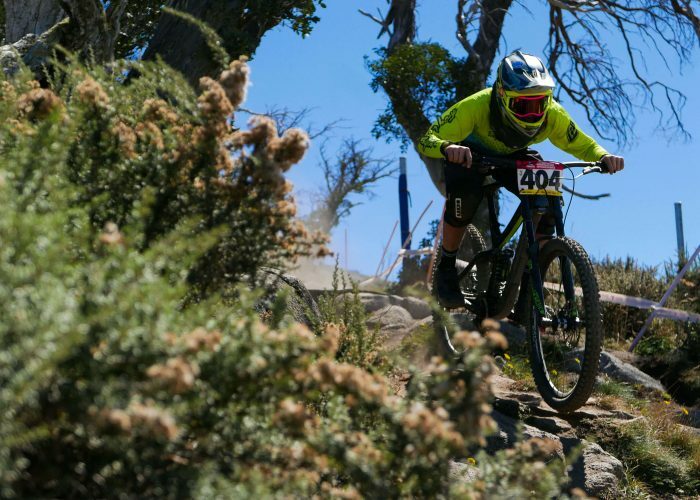 Whether you’re looking to tackle the tech on the Cannonball Downhill or improve your speed on the Kosciuszko Flow, Thredbo MTB expert instructors will have a bag full of tips to boost your confidence and skills. The clinic will suit riders of all abilities with the aim to progressively improve skills throughout the day.